Six identities, a missing fiance, and brick-breaking. See what adventures await in the 5 titles just added! While we're at PAX West scoping out more games to bring to you, we also can't wait for you to experience this week's newest additions to Utomik! Indie game Wonder Boy: The Dragon's Trap has rave reviews, and you'll see why as soon as you start playing! You've been cursed to be a half-human, half-lizard, but you're determined to break the spell. 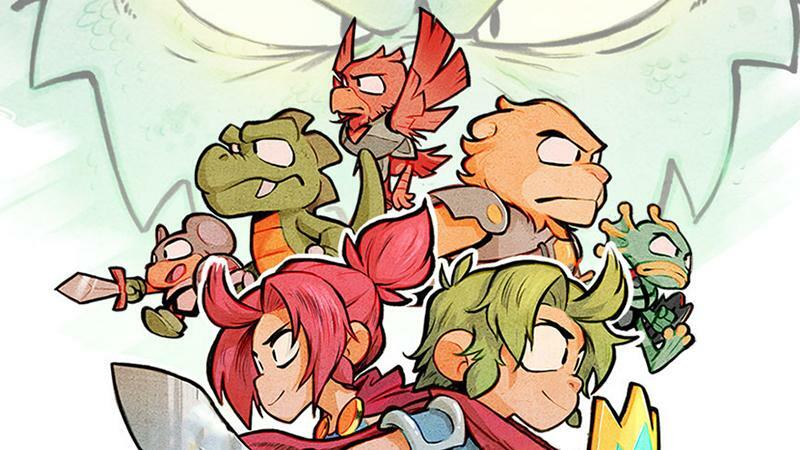 Wander Monster Land to figure out a way to get your true form back in this fun revamp of the original Wonder Boy. If you've been itching to get some reading in...but you still don't want to lose out on game time, The Lonesome Fog is perfect for you. Formatted as an interactive children's story, this game ties the unique visual style of Shelter and Meadow with a tale of a young cub and its struggles. While the Day of the Dead doesn't start until Oct 31st, Mexicana: Deadly Holiday speeds us forward to the festivities. Unfortunately, your fiance goes missing during a card reading, so you'll have to solve puzzles and find objects that'll get him back...and uncover your true identity. As a farmer in Ancient Rome, Scarlett must work to feed the armies and defend her lands. Farm Frenzy: Ancient Rome takes the mechanics you know and love from the franchise and sets the story back in ancient times...toga not included. Blast from the past Krypton Egg is a Breakout clone that'll be perfect if you're craving some retro gaming. Break blocks in 60 levels of fun!